Every now and then, we in the mySociety research team are fortunate enough to be given the opportunity to explore specific themes in civic participation, in partnership with some of the leading philanthropic bodies in our field. Last year, we worked with the Hewlett Foundation and the Omidyar Network to examine Participatory Budgeting. These organisations were keen to explore where there might be opportunities for the Participatory Budgeting field to be supported or developed, and alongside academic experts Brian Wampler, Stephanie McNulty and Michael Touchton, the mySociety research team conducted a wide-ranging review of some of the key questions surrounding Participatory Budgeting, and interviewed a number of practitioners and global experts. One of the truly fascinating things about the spread of Participatory Budgeting over the last 30 years is how it has evolved, mutated and emerged in almost all corners of the world. 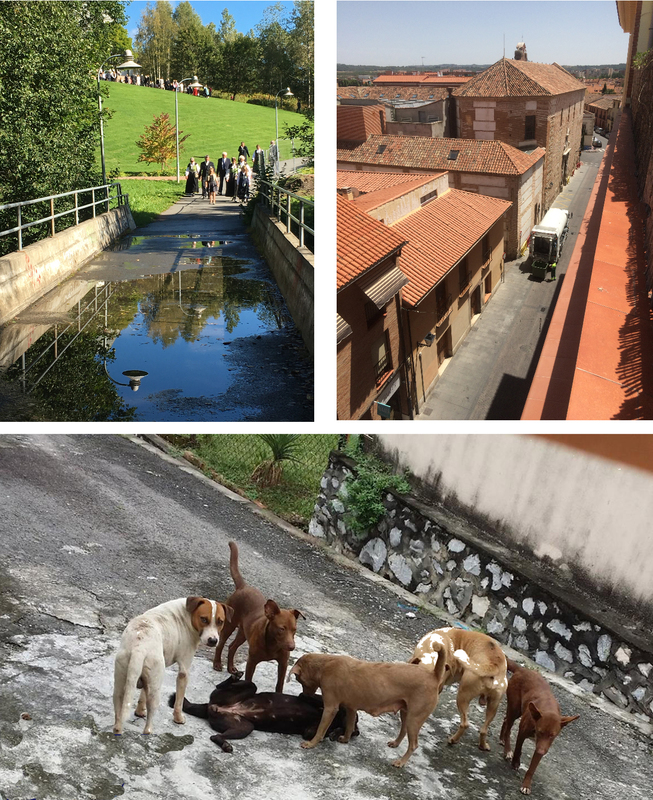 The model conceived in Porto Alegre 30 years ago is very different from the implementations of Participatory Budgeting operational today in Europe, Africa, Asia, Australasia and North and South America. That is not necessarily a bad thing of course. Projects and frameworks for participation must evolve with changing attitudes, must be culturally appropriate, and must work within the resources available. However, the very reasons that implementing bodies have for doing Participatory Budgeting have also changed. While many practitioners view Participatory Budgeting as a very process based activity, there are many differing opinions on what it is actually structured to achieve. In Brazil, this model was developed as a new political offering to build a fundamentally redistributive programme, allowing citizens with the greatest need to input into real-world budgeting solutions to leverage funding into the poorest neighbourhoods. This concept of redistribution has, based on our research, appeared to have waned in the majority of places, with the focus of Participatory Budgeting now firmly upon the commonly accepted ideal of broad citizen participation, with the merit assigned to the act and volume of participation by the general populace in local budgeting. There is nothing inherently wrong about this shift in focus, but it does raise questions around scale, legitimacy and programme outcomes. What are institutions really trying to achieve when implementing Participatory Budgeting? Is it redistribution, is it genuine participation, or is it the appearance of genuine participation? And is there any desired outcome beyond having citizens participate? Is the high cost of engaging the most disadvantaged citizens offset by the educational benefits of small-scale Participatory Budgeting exercises? Do implementers want these programmes to be large scale but relatively ‘light touch’? And if so, does that devalue the process of participation or exclude disadvantaged citizens or minorities? Is it right that those citizens able to mobilise support and votes for specific projects are most likely to be from comparatively wealthy and educated sections of society? Does the scaling potential of digital Participatory Budgeting platforms gentrify the process? And what is the point of investing in exercises such as Participatory Budgeting when the political and bureaucratic institutions overseeing them are evidently corrupting or subverting the process? This research project was incredibly compelling, and while we reluctantly concluded the project with more questions than answers, we hope that these points will focus the international Participatory Budgeting community towards genuine development that will benefit all of the many hard-working and dedicated practitioners around the world. Over the past six months, mySociety has been working on a project so sensitive that we even referred to it by codename when talking about it internally. That might seem a little over the top, until you realise that we were partnering with asl19.org, an organisation working — for their own safety — out of Canada, with the mission of helping Iranian citizens to assert their rights to freedom of expression and access to information. Ironically, this level of secrecy was necessary in the name of providing citizens with a platform for openness and transparency: we were working on a website, based on our WriteInPublic software, that encourages Iranian citizens to ask questions of their MPs. The project would enable Iranian citizens to pose their questions directly, online and in public, and anonymously. Such a concept has never before seen in Iran, where there is a culture of heavy censorship, clampdowns on free speech, and online surveillance — so there was a real risk of personal endangerment for those involved. Here in the UK, mySociety runs WriteToThem, a service which allows citizens to contact their elected representatives quickly and simply. Messages sent through WriteToThem are private, and we’re sure that’s most appropriate for our users. Often people are requesting help with personal problems, or informing representatives how they would like them to vote — either way, messages usually deal with matters that people tend to keep to themselves. But there’s certainly an argument for putting some conversations between citizens and their representatives in public. Imagine, for example, asking a councillor what had happened to funds that had been allocated to a project that never came to light; or spotting what appeared to be a falsehood in an MP’s statement, and being able to ask them to justify it with facts. If such conversations are carried out online, they create a permanent public record that everyone can access. That’s why we created the WriteInPublic software, building atop the WriteIt software created by the Chilean Civic Tech group Ciudadano Intelligente (also known as FCI). As a side note — if you have the contact details of your politicians, or can find them on our data project EveryPolitician, it’s extremely simple to set up your own WriteInPublic site, with no coding required. In fact, Asl19 say that the most challenging part of the project wasn’t something technical at all. To their surprise, it proved very difficult to locate email addresses for Iran’s members of Parliament. While most MPs have their own websites, they tend to use web forms rather than publish an email address. That challenge was eventually overcome with help from other organisations. Asl19 collected the emails, which they shared with us. We added them to EveryPolitician’s data, which WriteInPublic uses. The site is now live and people have sent over 400 messages. As a taste of how it’s being used, one citizen is requesting help with legal obstacles to getting medical treatment, and others, encouraged by an activist group, are asking that their MPs vote for a forthcoming bill which will give protection to those with disabilities. And, best of all, MPs are responding — well, there are 33 responses thus far. So will the project blossom, becoming an active forum for open debate between citizens and their government? It’s early days yet, but we hope that this project will provide a groundbreaking space for open debate in Iran. When we talk to the users of our sites, sometimes there’s no remarkable tale to tell — just a day-to-day story of how someone is making a small but persistent positive change in their community. Every month, around 7,500 people use FixMyStreet to help improve their neighbourhoods: getting potholes fixed, making dangerous pavements safer, or — as in the case of Van Tri Nguyen from Norbury, requesting the removal of unsightly rubbish and fly-tipping. 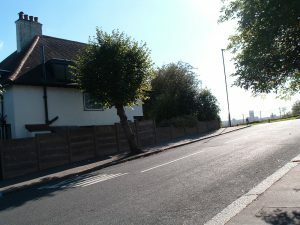 As Mr Nguyen told us, he first heard about FixMyStreet at a local association meeting. “In front of my house there is a big park. It’s frequented by a lot of people, and particularly at night a lot of things happen there — and mountains of litter are left behind. 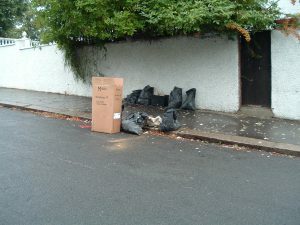 “Rubbish accumulates, not inside the park but on the road in front of it — just opposite my house! People just dump stuff from their car windows. 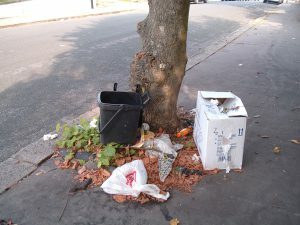 There are three lime trees which I often find decorated around their base with rubbish, on average once a fortnight, but sometimes as many as three or four times a week. “Once fly-tippers came and left an entire truckload of stuff. 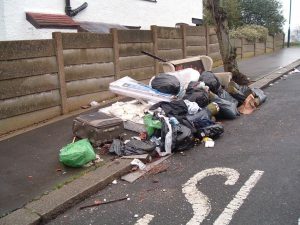 This road really is just a dumping ground, and while Croydon Council are aware of the problem, no-one has been brave enough to take a grip and get it sorted out. 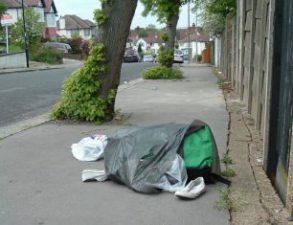 “I reported the eyesore, both on FixMyStreet and to Croydon Council. I believe that when reports are published online, the council may feel some kind of pressure and ashamed. 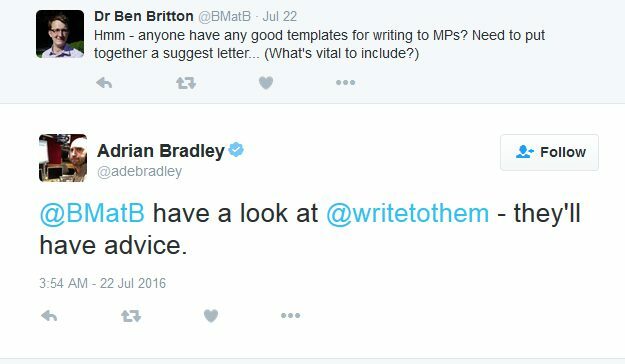 We were glad to see this tweet back in July, when @adebradley identified WriteToThem as the place to go for information on how to write to your MP. We do try to make that process as easy as possible, so it was a fair assumption that we’d have such a template1. But in fact, it was also a mistaken assumption, although we do have some more general advice in our FAQs. Basically, we offer lots of help on how to use our service, but we assume that the user can manage perfectly well once they’ve got to the ‘compose’ screen. So I did what I always do when a user points out a ‘nice to have’ feature for one of our sites: I ticketed it on Github, our issue-tracking system. And then, when I got round to it, I sat down and did some thinking, and read some other websites which offer advice on writing to your MP. And then I created a template to show people how to compose a letter that would be clear, readable, and likely to get a result. As I was doing so, something felt wrong. Firstly: who was going to visit this template? Even if we linked to it from the FAQs, would anyone ever find it? We know (without having to check our analytics, merely from the kind of messages we often get in our support mail) that the FAQs are not universally read. They’re more widely read since we moved the ‘Help’ link to the top right of every page, but all the same, it seems many users would rather drop us a line than find the answer on an FAQs page. Then secondly: my template began to feel very patronising. Here was I, someone whose job is copywriting, handing out tips to… well, who? Presumably, our more educated, literate, eloquent users were not staring at a blank screen wondering how to begin a message to their MPs. No: the people who need help writing to their MPs are going to be people who find it hard to express themselves in writing, and probably have never contacted their representatives before. And they are also the people least likely to wade through my sanctimonious examples and admonishments about what kind of language to use. FAQs are convenient for writers […] But they’re more work for readers. And between us, we reached the conclusion that the problem of people not knowing what, or how, to write to an MP wasn’t going to be solved by copywriting after all: if it was going to be solved at all, it was going to be with design and development. If we were really going to help our users, it’d have to be right there on the page, at the moment when they get stuck. Just as FixMyStreet gives discreet tips about what kind of content is appropriate in a report, WriteToThem might also guide a user to start with a clear statement about what the writer wants or needs, and to follow up with concise details. Or it might detect bad language and alert the user that their message is likely to disappear into an MPs’ anti-abuse filter. Maybe we could have an optional template within the ‘compose’ box which could be toggled on or off. We haven’t got any further than that yet, and we promise not to build the 21st century equivalent of Clippy — but what started with a tweet may end up as some in-browser guidelines. Meanwhile, if you’re looking for some help writing to your MP, here are our under-visited FAQs, and here’s an excellent guide to writing to your MP from Open Rights Group. 1 It’s probably worth clarifying that, when we talk about templates for letters to MPs, we are not talking about the sending of identikit messages – rather, we mean guides as to what sort of content to include. We have always, and will always, encourage users to write in their own words, and block mass messages from those who don’t. Here’s why. Who needs a calendar? 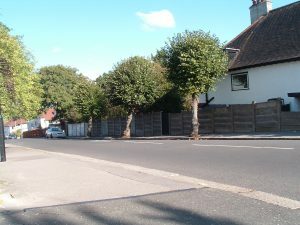 If we want to see the seasons passing, we just check what’s being reported on FixMyStreet. In these dark winter days, issues like broken streetlights become a lot more of a concern. There’s an increase in potholes, as frost damage plays its part. And our users are quick to let councils know if road-gritting has been inadequate on icy days. It’s enough to make us nostalgic for spring and summer’s reports of overgrown footpaths, smelly bins, and barbecues left smouldering in parks. 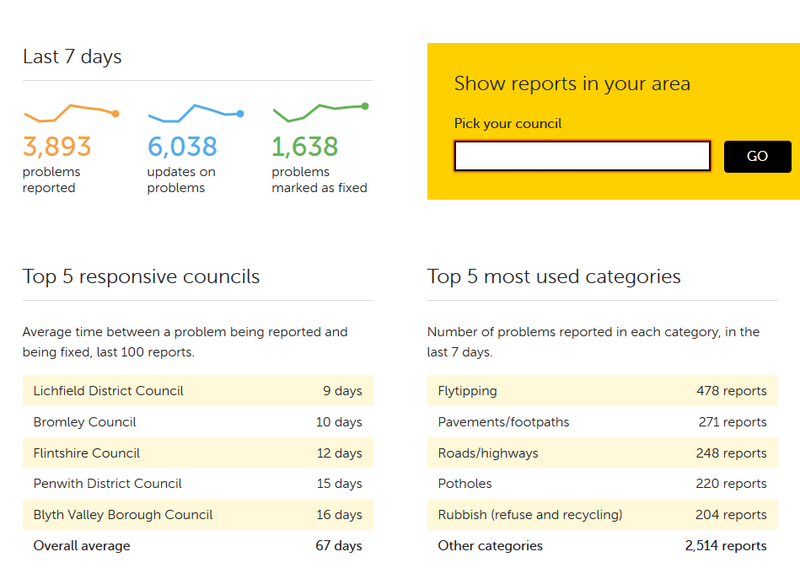 Over the last year, across the seasons, you’ve sent more than 160,000 FixMyStreet reports to councils across the UK. October was responsible for more than 12,000 of them — a 20% rise on the same month last year. We hope those numbers will keep rising — after all, each of them is potentially a problem solved. So, if you’ve spotted the beginnings of a pothole, or a streetlight that needs mending, don’t forget to let your council know, on FixMyStreet.